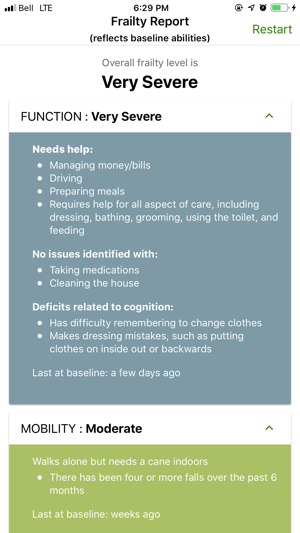 The Frailty App brings together the crucial information needed to quickly and reliably measure and respond to frailty. 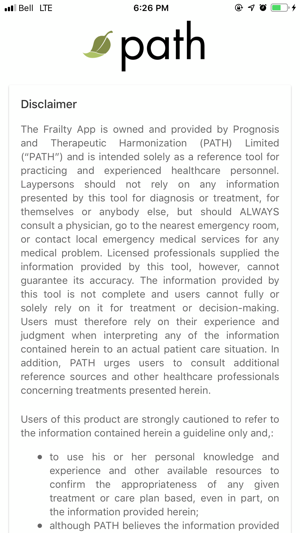 The first of its kind, The Frailty App is based on the award-winning Palliative and Therapeutic Harmonization (PATH) model of care. 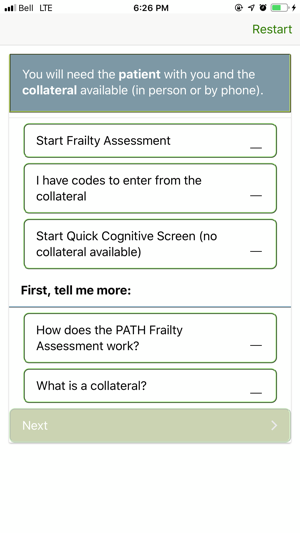 Designed to assist care providers to better align surgical and other interventional treatments with the realities of frailty, The Frailty App uses plain language in an accessible, intuitive format to compile the critical information needed to understand individualized drivers of frailty. 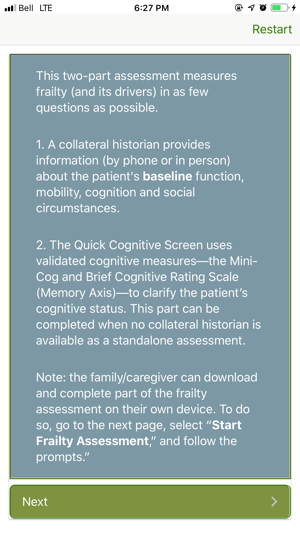 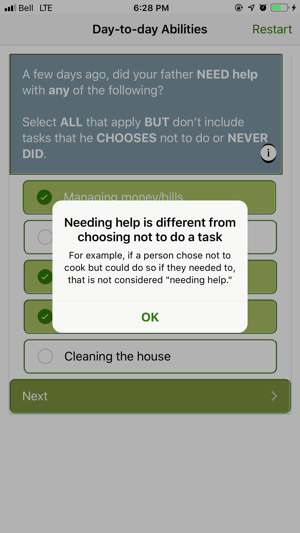 This innovative approach integrates caregiver input, objective cognitive testing, and social determinants of health into a succinct summary that can be a powerful, effective tool for framing treatment options and structuring team and family meetings.